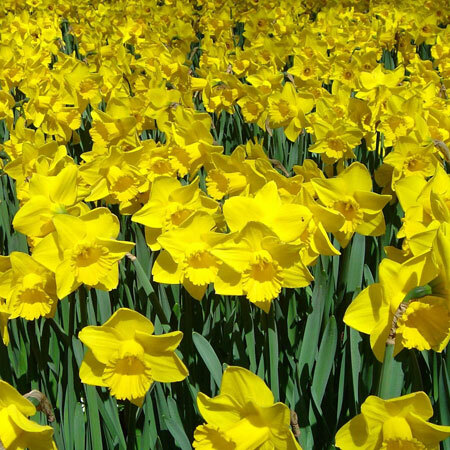 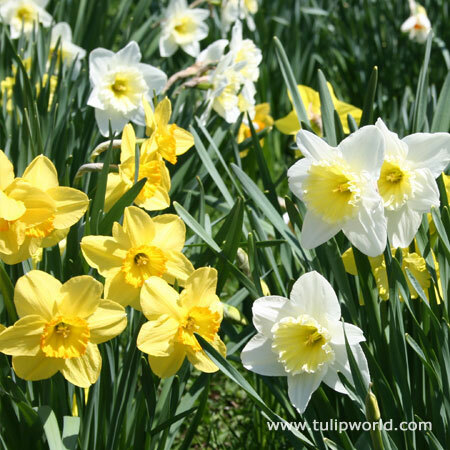 Daffodils are easy to grow bulbs that are also deer resistant. 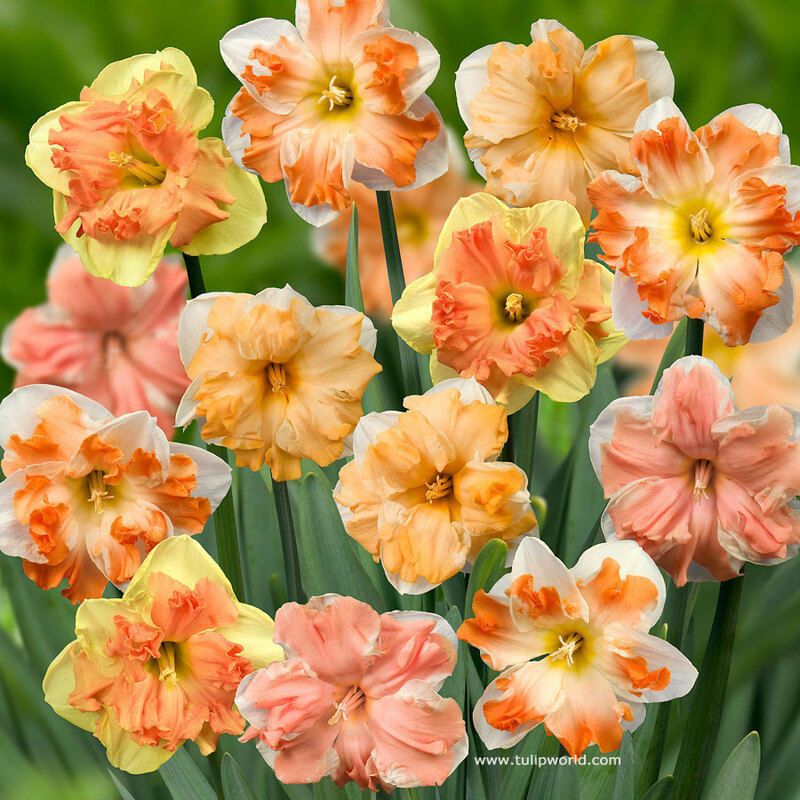 These early and mid spring blooming flowers won't be eaten by deer, rabbits, or other back yard critters. 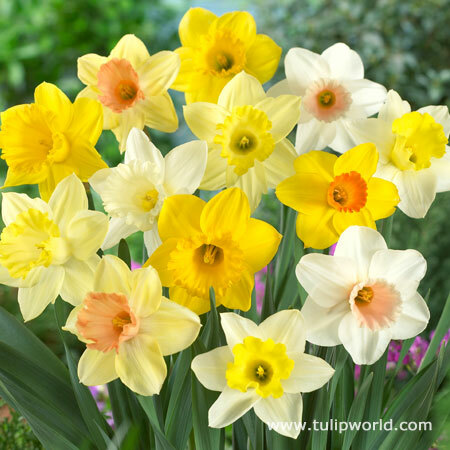 New gardeners will enjoy daffodils for their reliable perennial habit, early blooms and ease of growth. 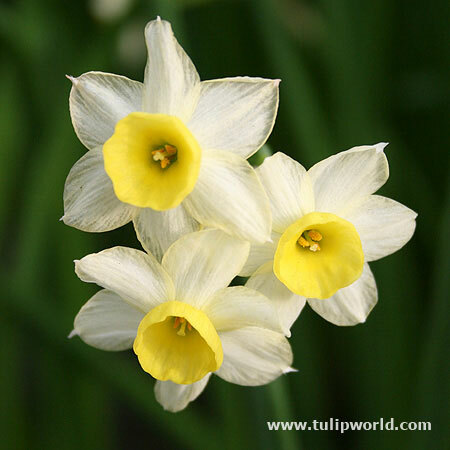 Daffodil also called by their botanical name Narcissus bloom in a variety of bloom shapes and colors. 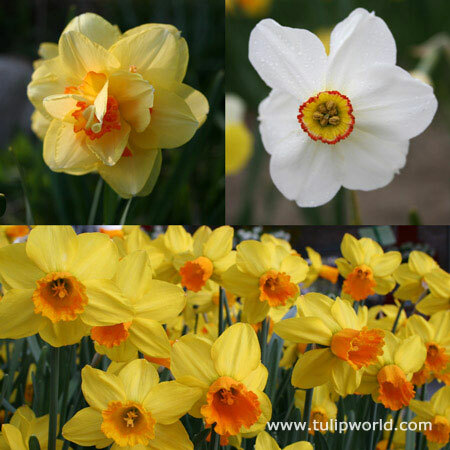 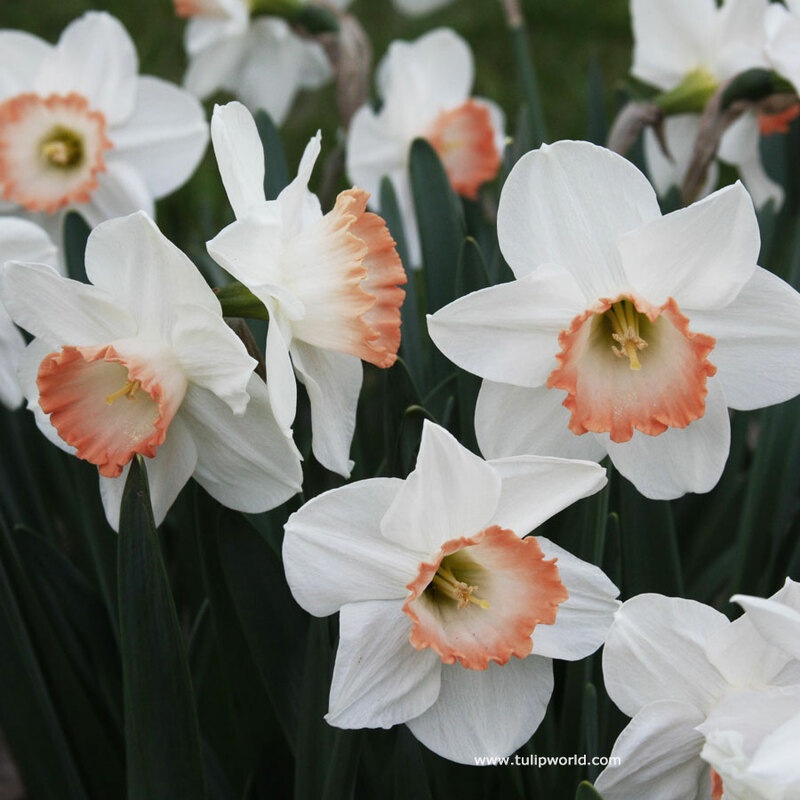 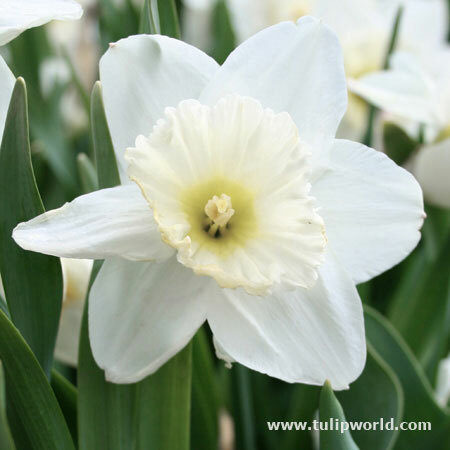 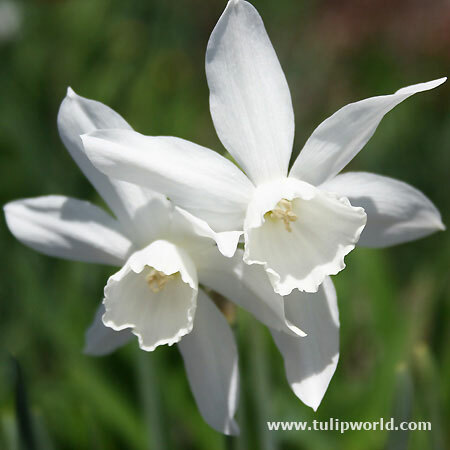 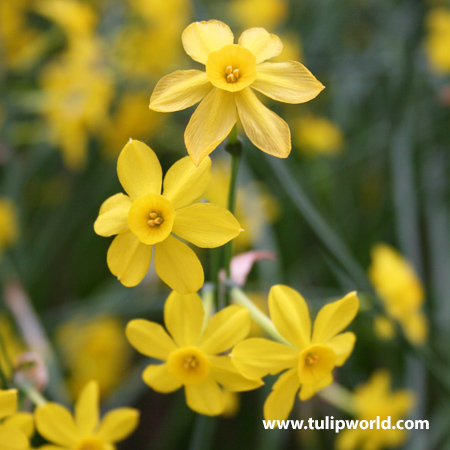 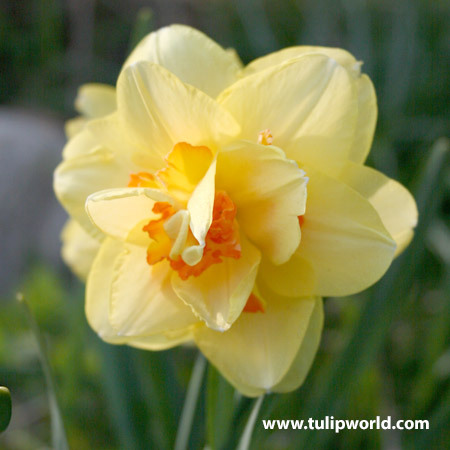 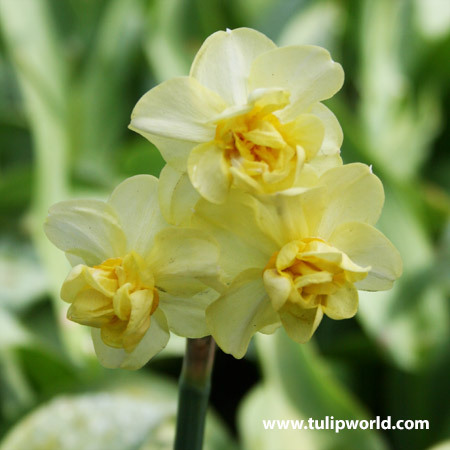 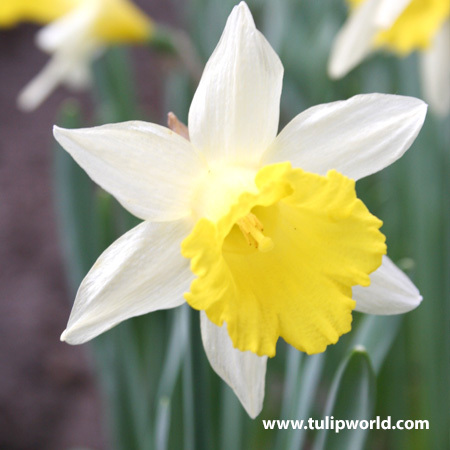 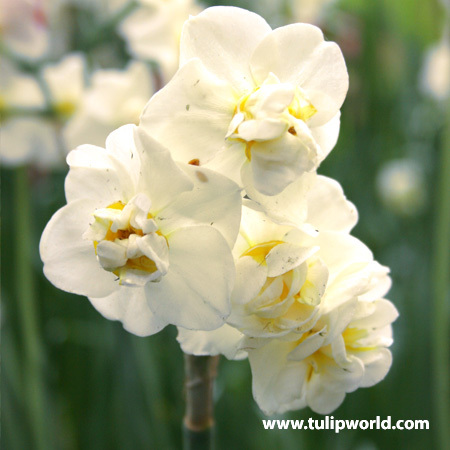 Narcissus blooms can be yellow, white, pink with white, yellow with orange, or yellow with white. 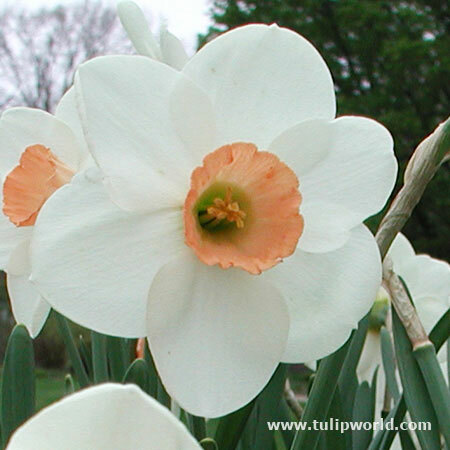 Trumpet and Large Cupped Daffodils have tall and showy blooms. 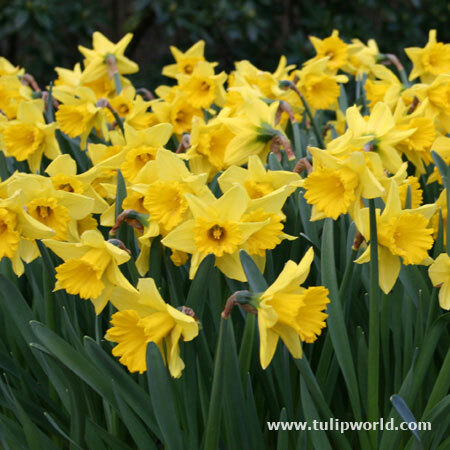 Split Corona Daffodils are often called Butterfly Daffodils and have unique blooms. 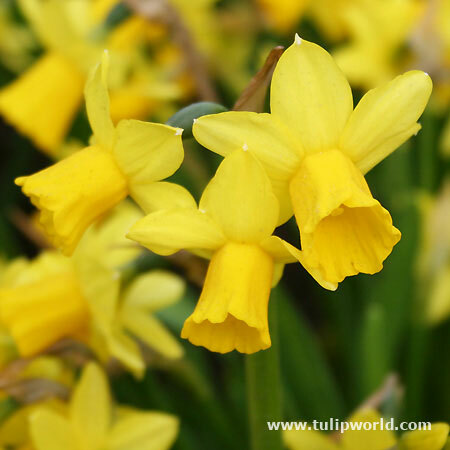 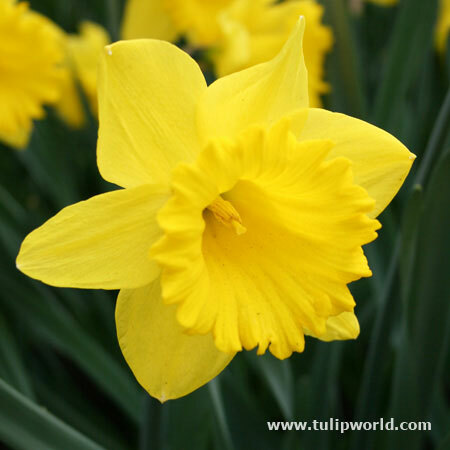 Grow daffodils in warm climates as well as cool climates. 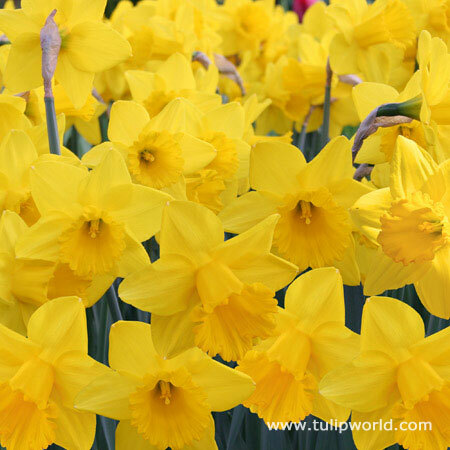 Daffodils grow in hardiness zone 3-8. 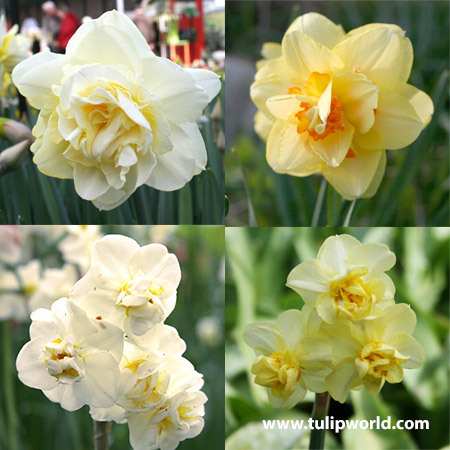 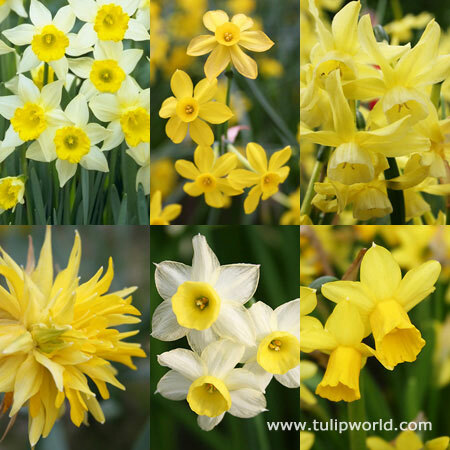 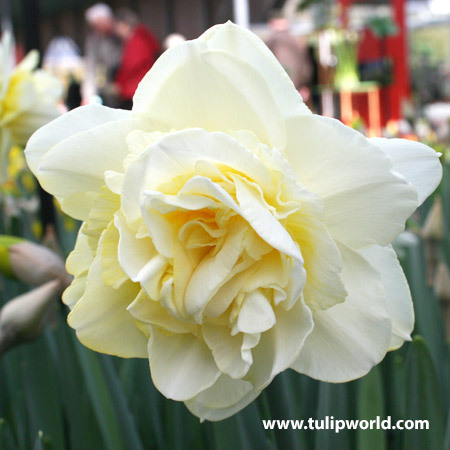 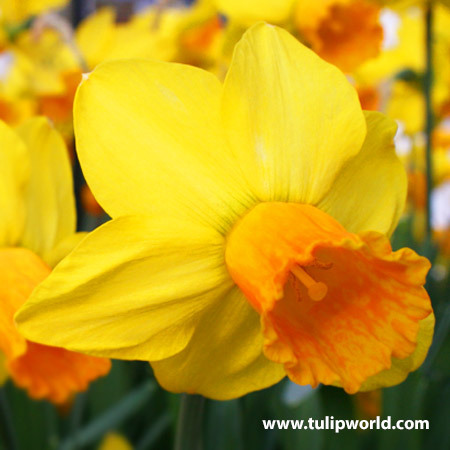 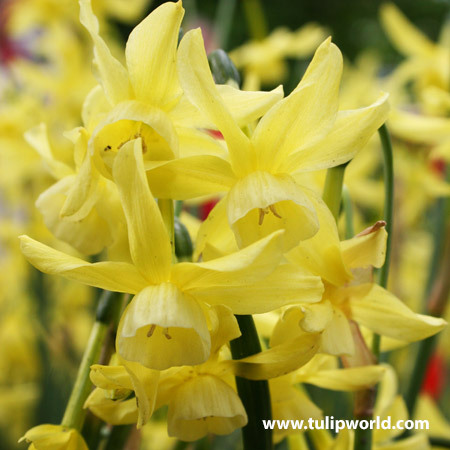 Daffodils for sale at Tulip World can be purchased in packs of 25 bulbs, 50 bulbs, 100 bulbs or even 250 bulbs.